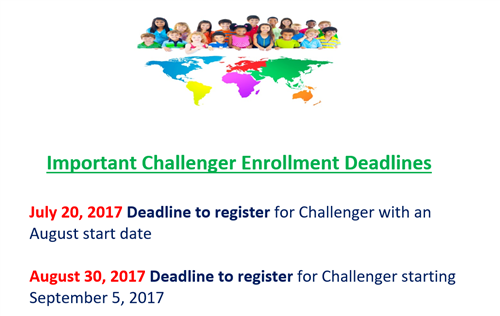 Deadline to register for Challenger with an August start date is July 20, 2017. If you miss the July 20th deadline, then the next start date is on September 5, 2017. Registration for the September 5th start date must be completed by August 30, 2017.